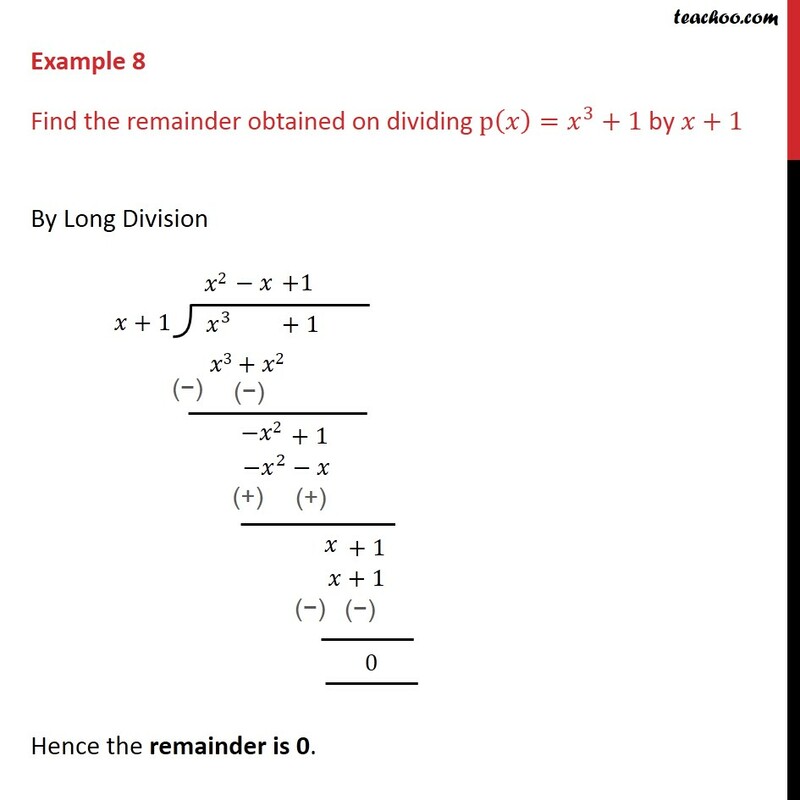 Example 8 - Chapter 2 Class 9 Polynomials - Teachoo Find the remainder obtained on dividing p (x) = x^3 + 1 by x+1 Here, we find remainder by Long Division We follow these steps, 1. Put x^3 + 1 inside the division symbol, x + 1 on the left side of it. 2. Since we need x^3, we multiply (x+1) by x^2 3. Our multiplication comes x^3 + x^2 4. x^3 and x^3 subtract and become 0, x^2 becomes -x^2 5. So, now we have -x^2, and + 1 from top. So, -x^2 + 1 6. We multiply by -x, .... Hence the remainder is 0.